Balcony glass allow us to enjoy the outdoors all year round, providing a whole new range of possibilities, though, regardless of the weather – or the time of year. A sunny breakfast enjoyed in the early spring, a calming cup of tea cuddled up in your favourite armchair watching the rain come down, a romantic candle-lit dinner on an autumn evening, a few kilometers on your exercise bike sheltered from the ice and winter winds... these are just a few of the infinite possibilities a space like this can offer. We believe that balconies are a different kind of living space, and that this is a fundamental part of their appeal. We do not try to replicate the same conditions as the interior and simply turn it into an additional room. Balcony glass will always have it's unique benefits for homeowners and characteristics of an outdoor living space with protection from the elements. 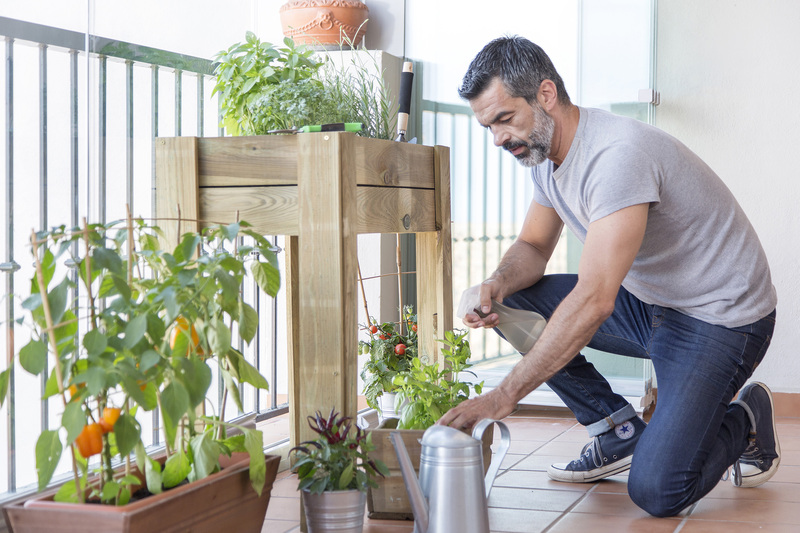 Lumon can help you turn your balcony into a miniature green oasis, full of light and life, where you can recover some of those little pleasures that are so easily forgotten nowadays. Create a special area in your home that you can enjoy whenever you wish. Who actually said that we need to get out of our comfort zone? At Lumon, we believe in energy savings, comfort and providing the experience and highest-quality products to enhance your home and living standards. Lumon balcony glass systems are the product of years of research, product development and testing. We have over 35 years of experience in designing, manufacturing, and installing frameless retractable glass balcony enclosures and solariums. Read more on the Lumon story. Our balcony glass has been subject to rigorous lab tests, so we know it will stand up to even the harshest conditions. 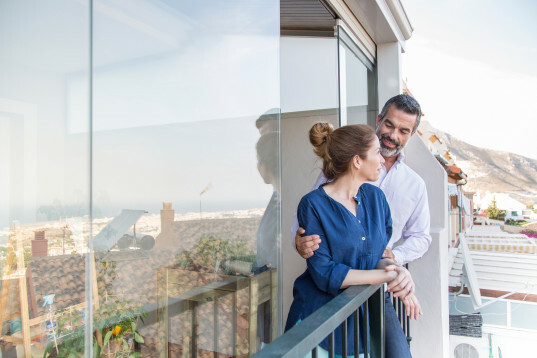 Just as importantly, our balcony glass has been proven in hundreds of thousands of installations around the world—making us the most popular balcony glass system on the planet. We’ll work closely with you in communicating with your board and providing them with any documentation they may require. We’ve won the approval of thousands of strata councils and condo boards across Canada. Lumon representatives are selected and trained to listen to our customers. They have the product knowledge and technical experience to make your dreams a reality. They’ll work with you to create a custom-made balcony system that fits your needs and budget. We ensure purchasing balcony glass is a simple and pain-free process. Balcony glass for our Canadian customers is manufactured in our world-class facility in Vaughan, Ontario, just north of Toronto. Our system come with balcony glass warranty on installation andoon all manufactured materials. Sustainable development and respect for nature are essential to Lumon. Our balcony glass materials (glass and aluminum) are fully recyclable, and we actively recycle production remnants. In addition, our tests demonstrate that balcony glass in Vancouver, Toronto, Missisauga, and elsewhere in Canada can provide energy savings for consumers. At Lumon, we care about the environment. Lumon balcony glass has CCMC (Canadian Construction Materials Centre) approval, which is an indicator of quality and compliance with Canadian building codes. In addition, Lumon balcony glass has received the European Union’s CE marking, which is another sign of superior quality. Our balcony glazing system was also awarded European Technical Approval (ETA-06/0019). The Lumon glazing system is the first in Europe to get this approval and the CE Marking (Conformité Européenne). CE Marking is given to building products that fulfill the EU’s health and safety requirements. Products with this marking can be exported freely without any need to test or alter them in any way (ETA requirements). Make time for what matters. Improve your outdoor experience with retractable balcony glass walls designed to keep your outdoor season alive all year round.The Lumon balcony glass protects your balcony from the inclemency of the weather, giving it a new life and adding more space to your home to make it your special corner to enjoy with great company. We take care of every step of the process, supported by the knowledge and experience to deliver the highest quality materials. This uncompromising dedication to quality has paid off. Our balcony glass systems are unrivaled for their style, price, appearance, functionality, security, and user-friendliness—and we have satisfied more than 1,000,000 customers worldwide who agree!